Advancetown was a halfway point between the ranges and the railway station where the drivers and bullocks rested, ate and drank. 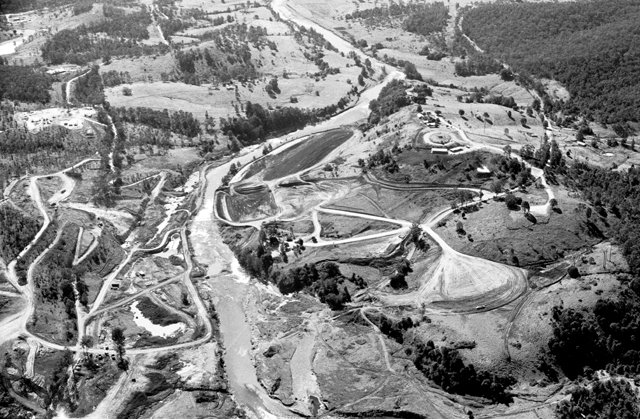 Beneath the waters of the Hinze Dam lies the site of the original settlement of Advancetown. Above the water level, sits the newer township of the same name. As Brisbane and other regional towns grew in the nineteenth century, so did the colonial building industry. Timber was needed to construct new homes and buildings. Large amounts of this was harvested from the forests of the Gold Coast Hinterland. 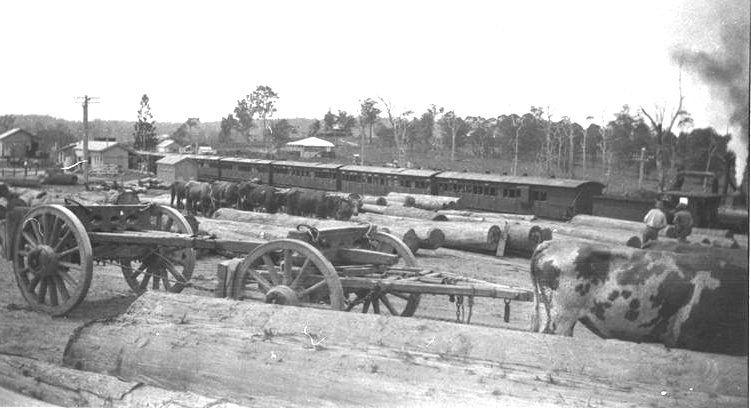 Timbergetters would cut down the huge cedar and other trees while bullock team drivers (bullockies) would transport the logs for milling and processing. 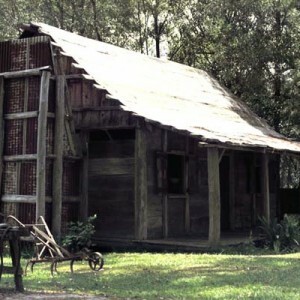 Small settlements often grew around timber mills and at the junctions of roads and tracks that the workers frequently travelled along. The need for accommodation and supplies for the workers and their families resulted in hotels, shops and blacksmiths setting up business in areas connected to the timber industry. Because of this, over time, townships, like Advancetown, developed. European settlement at Advancetown began in 1881 when David Yaun constructed a saw mill at Pine Mountain for the Burley Bros. of Brisbane. In the same year Ernest Bellis, a timbergetter and sawyer, and members of the Guinea family arrived in the region. With Matthew Heeb, Ernest Bellis, was responsible for creating the first road in Beechmont to reach the cedar stands in the mountains. In 1884 W.H. Turner built the first hotel in the area and called it the Beechmont Hotel. Ernest Bellis later bought the hotel at the junction of the Numinbah Road and the Black Shoot, a bullock road from Beechmont, and changed its name to the Advancetown Hotel. In an era of prosperity, he also donated land for a school. 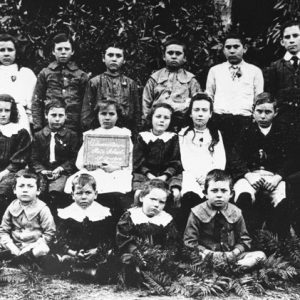 Because of Bellis’ donation, the school took the name of the hotel and the area became known as Advancetown. Bananas, dairy cattle and pigs were farmed at Advancetown. As late as the 1930s, there were up to 24 bullock teams operating in the Hinterland. 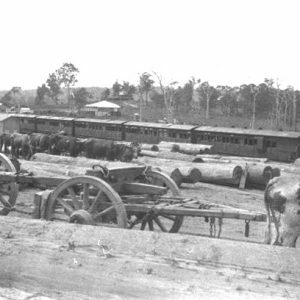 They carted logs from the McPherson Ranges to the railway station at Nerang. Advancetown was a halfway point between the ranges and the railway station and, not surprisingly, it was where the drivers and bullocks stopped to rest, eat and drink. 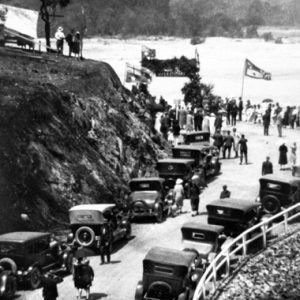 The road between Nerang and Advancetown wasn’t completed until 1937. 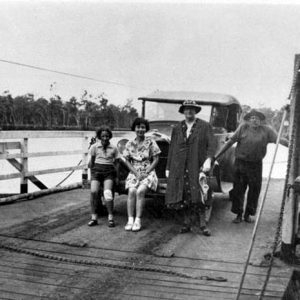 As a result, the bullockies were responsible for bringing supplies to Advancetown on their return journey from Nerang. 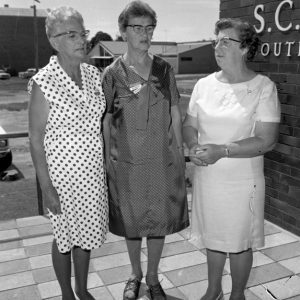 While Advancetown had a telephone exchange from 1924, it wasn’t until 1963 that electricity was introduced. In July 1933 the Advancetown Hotel burnt down. Because there was no firefighting equipment available the 11 room building was destroyed. 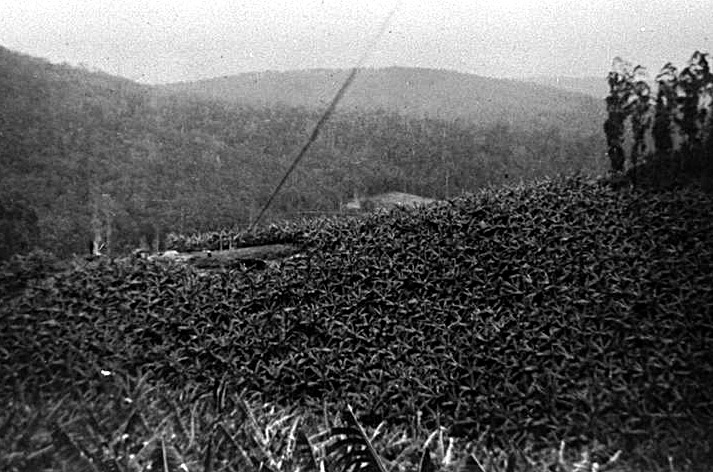 In 1965 a slab hut originally constructed by pioneers was relocated from dense shrub and placed behind the rebuilt Advancetown Hotel. 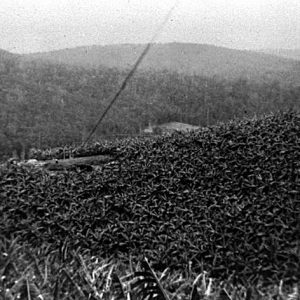 Because it was a popular tourist attraction, the slab hut was relocated to the new site of the township, along with several other buildings. 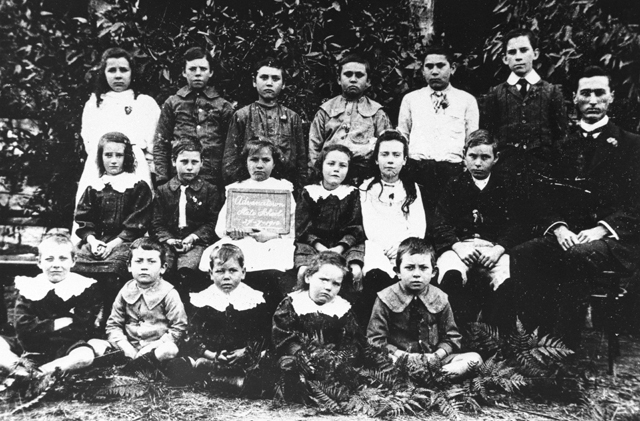 By the time construction was completed on the Hinze Dam in 1977, the Advancetown school had long closed, the timber industry had declined and farming residents had relocated to other areas. 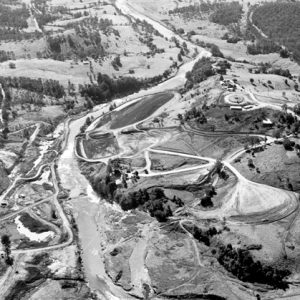 The original settlement of Advancetown and surrounding areas was submerged under the waters of the Hinze Dam and a new township was established above the waters of the lake. The Advancetown Hotel, camping ground, Hinze Dam, Advancetown Lake and access to neighbouring forests remain popular attractions in the suburb. 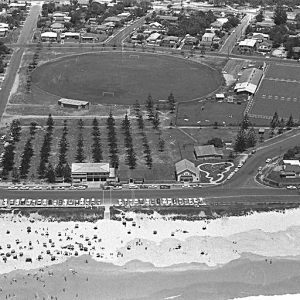 Albert Shire Suburb History: unpublished manuscript held at the City of Gold Coast Local Studies Library.